Alcohol is perhaps the most abused substance in the United States. Every day, teens and adults alike drink to relax and have fun. Unfortunately, alcohol is addictive, so people end up abusing this socially accepted drug. Abuse quickly turns into addiction, which leaves them needing alcohol rehab. Alcohol use disorder (AUD) is a condition that develops after consistent, excessive alcohol consumption. After abusing alcohol for an extended period of time, individuals eventually develop a dependence. This dependency eventually turns into AUD, which becomes a full-blown addiction with continued drinking. According to the U.S. government, AUD affects both adults and juveniles. In 2014, nearly 8% or over 16 million people over the age of 18 had AUD. Of those individuals, nearly 11 million of them were men. During the same time period, 679,000 adolescents suffered from AUD. Oddly enough, females outnumbered males in this age group. Some experts believe that the shift is because females mature quicker or hang out with older people. Having older friends makes it easier for them to get their hands on alcohol. These AUD statistics show that men and women aren’t the same. In fact, women and men inherently face different problems when it comes to addiction. Because of these differences, they need treatment options that address their specific needs. Many addiction centers offer gender-specific alcohol rehab programs. People who enroll in them are more likely to share their fears and concerns. Openness is important for a therapist to get to the root cause of an addiction. Without determining the cause, relapse is an ongoing threat. On this same note, men and women generally feel more comfortable when they’re around others of the same gender. It’s also easier for them to relate to each other’s problems. For example, men’s alcohol abuse often stems from problems with their fathers. For women, however, alcohol addiction is more common in domestic abuse cases. Alcohol rehab centers usually offer custom substance abuse treatment plans. Since people are inherently different, no one plan works for everyone. Instead, rehab centers have to evaluate each client and determine which treatment options to use. 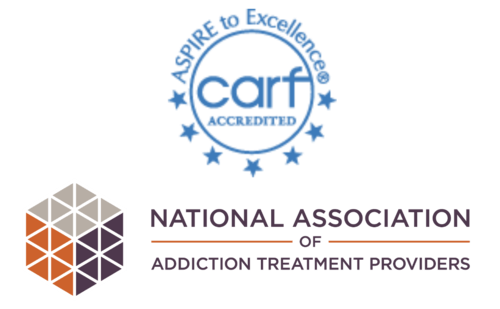 In some cases, clients have many of the same programs in their custom addiction treatment plans. However, the amount of time that they need to spend in each of these programs usually differs. For example, people who benefit more from sharing in a group need more time in group therapy. Likewise, people who feel more comfortable in one-on-one therapy sessions need more time in individual therapy. We don’t believe in just helping people overcome addiction. We want to educate them about it as well. In fact, we even offer educational lectures for family members. The more that they know about addiction, the easier it is for them to come together to manage it. Memphis Recovery also offers a nutrition and wellness program. Eating right and staying in shape helps the body recover from addiction quicker. We ensure that our clients have great food that meets their nutritional needs. Don’t let addiction stop you from living your life to the fullest. Reach out to Memphis Recovery today at 866-304-8254 for more information about our programs.